Population 600,632 Cocaine/crack cocaine in Vermont While powder cocaine is readily available in Vermont and is widely abused, crack is primary available only in Metropolitan areas. According to the 2003-2004 data from the NSDUH approximately 56,000 (10.44%) of Vermont citizens (Ages 12 or older) reported past month use of an illicit drug. 15,000 (2.8%) reported past year use of cocaine. Additional 2003-2004 NSDUH results indicate that 17,000 (3.24%) Vermont citizens reported illicit drug dependence or abuse within the past year. Approximately 11,000 (2.14%) reported past year illicit drug dependence. According to the 2003-2004 NSDUH data, approximately 14% of Vermont 12-17 year olds reported past month use of an illicit drug. 1,000 (2.12%) reported past year cocaine use. In 2005 Federal agencies seized 6.5 kilograms of cocaine. They suspects were both selling and abusing cocaine in Vermont. Who attempts finding help? 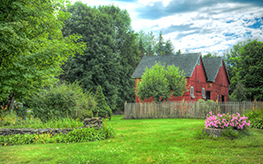 During 2006, there were 5,660 admissions to drug/alcohol treatment in Vermont. 199 were for use of cocaine and 170 for use of crack cocaine. According to 2004-2005 NSDUH data approximately 16,000 (3.01%) Vermont citizens reported needing but not receiving treatment for illicit drug use within the past year. Are you or a loved one searching for treatment for Cocaine addiction? Stop! Treatment doesn’t work for Drug addiction. In fact the number of people admitted for Cocaine treatment were 338 in Vermont and keep climbing every year. Most people in Vermont who are looking for help with Cocaine are hoping to find a permanent solution to Drug addiction. Traditional treatment , in the form of 12 Steps and rehabs, is not an effective solution for long term success. In 2014, of the 338 people looking for help, 254 or 75% will relapse one or more times and return again to the same treatment with the same result. Relapse is a problem because treatment doesn’t work! Going back to treatment that didn’t work before is likely to have the same result of not ending addiction. Even worse, people who go to treatment over and over may actually binge more or even try combinations that can prove lethal. In 2014, 338 sought treatment. 75% or 254 relapsed after treatment for Cocaine. So if the answer isn’t treatment—what does work? The totally non 12 Step approach of Freedom Model Retreats that has helped people from Vermont for over 27 years. If treatment doesn’t work and relapse and recovery is not the only option for addiction, what does work? For over 27 years, people in Vermont have turned to Freedom Model Retreats for help with Cocaine and other types of addiction and for good reason. 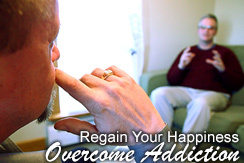 With a completely non 12 Step research based program that focuses on debunking the myths of addiction, you can finally put away your fears of a life surrendered to a cycle of relapse and recovery. Our program helps you invest in a life plan you write with concrete goal planning so you can pursue the dreams and passions you may have thought lost until now. Through a program of cognitive behavioral change, you’ll find more effective life skills to help you manage the ups and downs of life and enjoy a happy fulfilled life. Take back your freedom of choice and put addiction away in your past—let us show you how today. The Freedom Model Retreats have been helping people with Cocaine Addiction for over two decades now. Whether you are looking for a program in Vermont or somewhere else, We Can Help. Many Vermont Cocaine treatment centers will make you believe that the only solution to your problems is in fact Cocaine treatment. This is not true. People overcome Cocaine every day without treatment and without addiction professionals dictating how their lives should be lived.